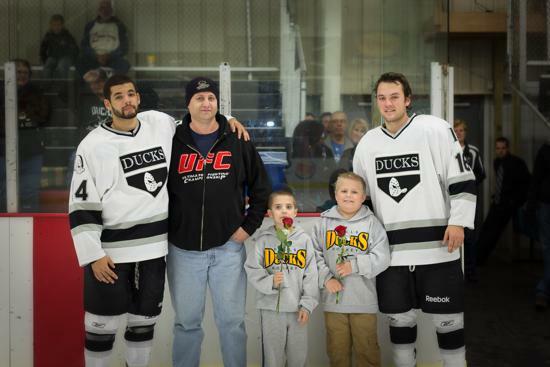 The Ducks Organization would like to thank this seasons host families for their continued support and dedication. 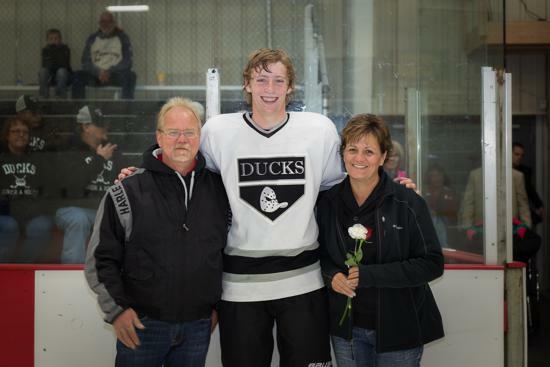 Without quality host families, many players find it difficult being away from their core support system while dealing with the pressures of Junior Hockey. 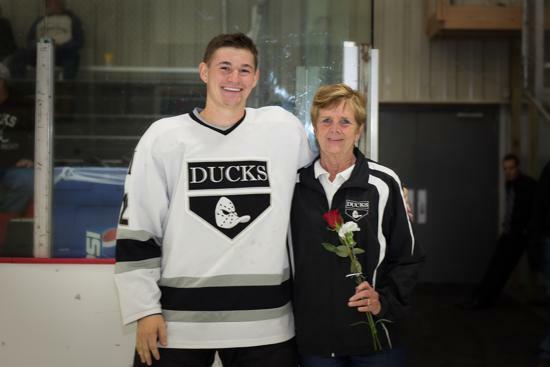 In speaking with many of our host families, we have discovered that not only do these families enjoy being a part of the organization, they also love getting to know the players and their families. "It was a wonderful experience for my husband and I, who are empty nesters. The time spent with these kids brought back many memories of the time we had years ago with our own children," said Diane and Gary Kirby. "It was a little overwhelming when they left. It felt like our own kids moved away again, but we've remained in touch and gained another member of the family". 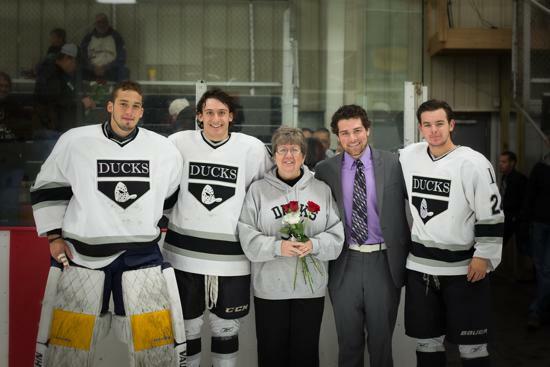 The importance of host families to our Program is immeasurable. 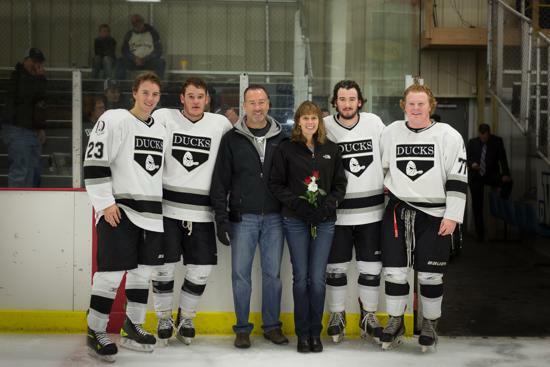 A large part of our commitment to both our players and their families is to help provide good home and support system. While the host families receive some monetary compensation, we find that the long lasting relationship far become the real reward. 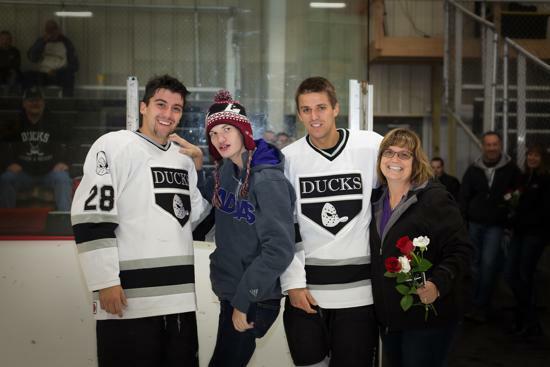 When a family volunteers to house a member of the Dells Ducks team, we ask that they provide room and board for each player they house as well as provide nutritious food for him or the host family to prepare. Each host family must provide the player with their own room, or one to share with a fellow team member, if housing more than one. We also expect host families to treat players as "one of the family" rather than a live in renter. In return, players are expected to clean up after themselves and follow all house and team rules while respecting their host families homes and occupants. Their are team guidelines and policies that each players must abide by and we expect our billet families to uphold and enforce these team rules as well. 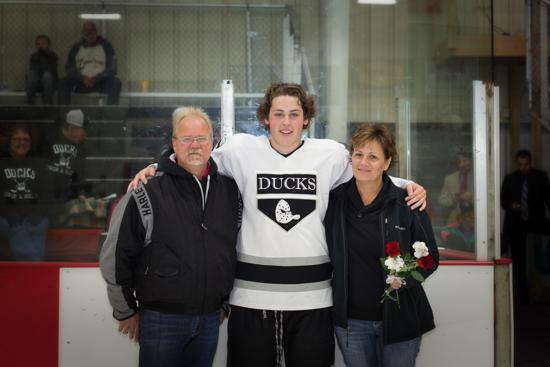 How long is a billet family's commitment? This time will vary based on both the player and the season. Host families receive a $350.00 monthly payment for each player to be used towards food and traditional needs. Many host families find it easier to house two (2) players for easier travel and adjustment. Our current and past Host families have included traditional 2-parent families as well as "empty nesters". 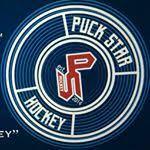 All that's we ask is that you are willing to help each player pursue their dream by providing a "home away from home". Q: Can a family host more than one player? A: Yes, 2 or more players can share a host home which may also aid in transportation for players without vehicles. Q:What are the families responsibilities? A: The family will provide separate bedrooms for the player furnished similar to how a dormitory would be furnished (bed, desk, chair). Meals will include breakfast, lunch, & dinner. These meal do not need to be cooked for the players, just available for them. It is also recommended, pending team functions, that dinner is a home meal with the family. Q: What are the player’s responsibilities? A: Players must maintain a neat and clean room, pick up after themselves, perform their own laundry, respect house rules, and honor the team curfew. Q: Is there compensation to the host family? A: Yes, families participating will receive a monthly payment for each player for as long as the player is living with the family during the season. Q: When does the season begin and how long does it last? A: Players will report to camp the third week of August. The regular season lasts through March and the playoffs can last through April. For more information please contact head coach and general manager Jeff Worlton at JCWorlton@yahoo.com.